In this slightly different take on a stovetop omelet, eggs and coconut milk make a sunny, fluffy base layer full of healthy fats to keep you energized and going strong all morning. The prep time is only as long as it takes you to whisk up the eggs and chop your toppings, so this is a recipe that could even work for a weekday: pop it in the oven first thing, and when you’re done getting dressed, it’ll be done. Because the toppings in this recipe are added to the top, rather than folded into the egg mixture, they get nicely browned and crispy from their time in the oven: you get all the flavor bonus of roasting vegetables without the bother of having to roast them separately. I’ve given you a suggestion for vegetables to use, but you can change this completely depending on how much you like to eat in the morning. If you like a hearty breakfast, add some sausage or ham – or just swap out vegetable choices (or use some leftovers) until you get something that you love. 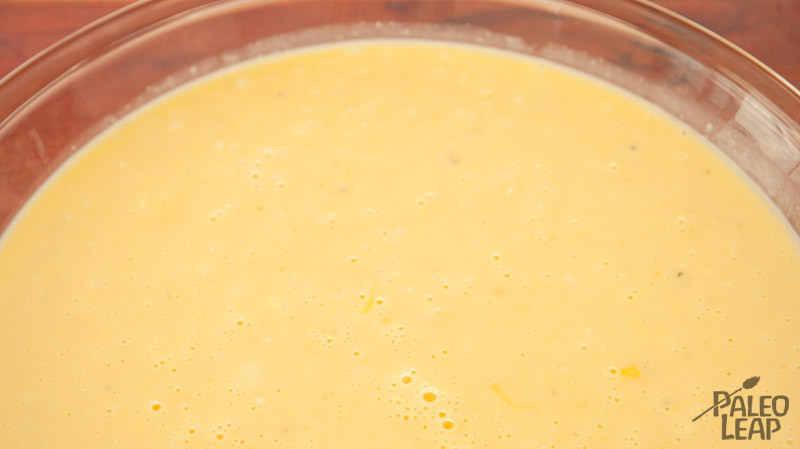 As well as the ease of customizing them, another advantage of baked egg recipes is that they store very well – you can’t really put a classic omelet in the fridge for later, but this recipe will keep for several days and come out just as tasty as it went in. A big slice of eggs and veggies is just as good cold as it was hot, making it an ideal breakfast or snack for those hectic days when you don’t even have time to turn on the microwave. So if you cook enough on Sunday morning, you’ll have breakfast set for Monday and Tuesday: it’s an easy and delicious way to set yourself up right for a successful week of healthy eating. Whisk the eggs in a bowl with the coconut milk, and season to taste with sea salt and black pepper. 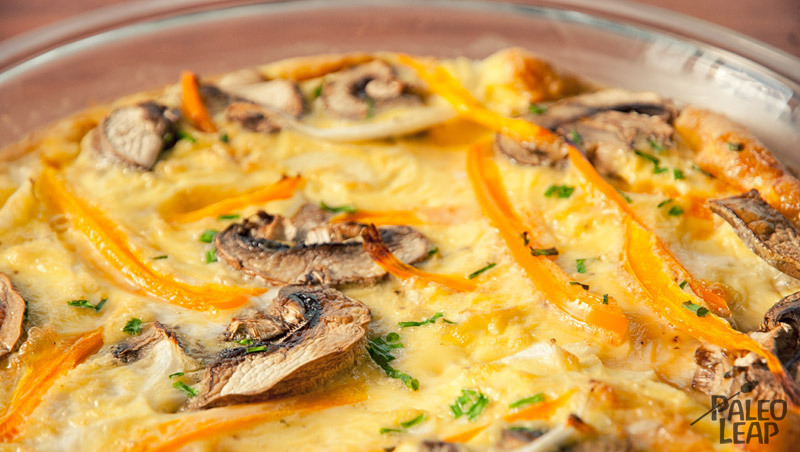 Pour the eggs into a round casserole or pie dish and distribute the remaining ingredients on top. Place in the oven and cook 20 to 25 minutes.